We are so fully stocked on bags for your bicycle riding pleasure. All pictured are locally made by a variety of small bag making companies. From saddlebag tool rolls (made by yours truly) to grocery panniers, and three styles of backpack, three style of hip pouch and now small duffels, our local bag making posse is well represented at A Better Cycle. 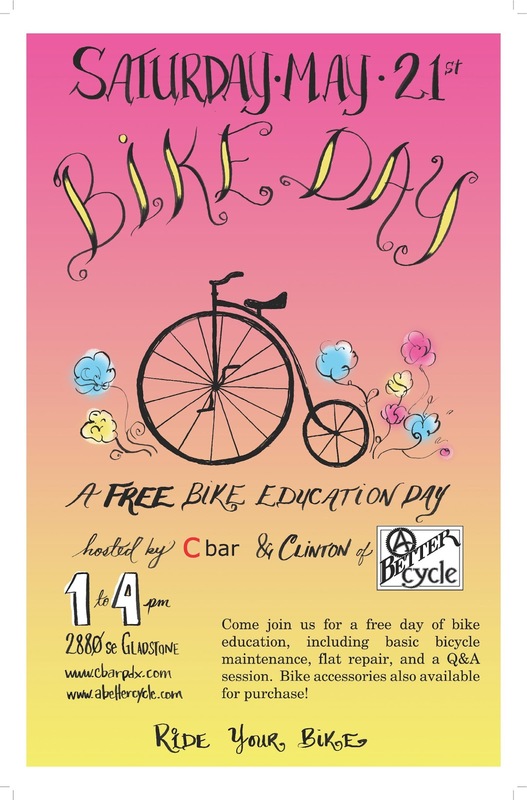 Come to C Bar on Saturday, May 21st to learn some basic bicycle maintenance!